Jessica Mason earned her medical degree at the University of Southern California Keck School of Medicine and completed her emergency medicine residency training at MetroHealth Medical Center and The Cleveland Clinic in Cleveland, Ohio. Her interest in medical education through media drew her to fellowship and she is currently an education fellow at the University of California San Francisco (UCSF) Fresno. 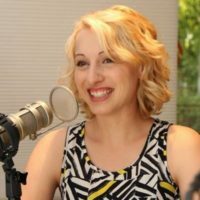 She is a writer and co-host of the Foolyboo podcast This Won’t Hurt a Bit. Jessica is also a medical contributor to EM:RAP, producer of the EMRAP-HD instructional videos, and creator and host of two other medical podcasts: The Hippo EM Resident Call Room and Med Forum.